This is cinematic science fiction, moving at a fast pace and building up a complex world. Warren Hammond and Joshua Viola’s Denver Moon: The Minds of Mars is brisk science fiction enlivened by lovable characters and a bone-chilling mystery. Denver Moon is part of a futuristic human society that calls Mars home, but life on Mars isn’t as smooth as they had hoped. A fever has spread across the planet, causing people to act out rabidly. As Denver struggles to save her fever-ravaged people, new evidence arises to suggest that her long-dead grandfather—one of the founders of Mars—may have been keeping secrets that could unravel the entire colony. While the mystery element leaves some heavy breadcrumbs, there’s still plenty left to be discovered. Denver’s past—and that of the entire colony—is complex and dark, and world building is clever and multifaceted. Mars is drawn as a colorful and fascinating place. The idea that colorblind people are immune to the fever is pounded so heavily into the story that it becomes redundant, with reminders left every few pages. Colorblindness is misconstrued in the process, with its nuances ignored; Denver is portrayed as seeing only in black and white, even not seeing things at times. Denver narrates. Her voice is strong, and her descriptions, while they are vivid, are not too long-winded. Dialogue is realistic, and character voices are individualized. Clichés are littered throughout the story, however, and discussions tend to be excessively expository. Too much backstory is piled into the early chapters. Told in a manner that is reminiscent of an action film, with high tension and a guided view of the narrator’s world, the story is fast moving and exciting, working toward a satisfying, if abrupt, conclusion. A short story helps to hint at what’s to come in the future. 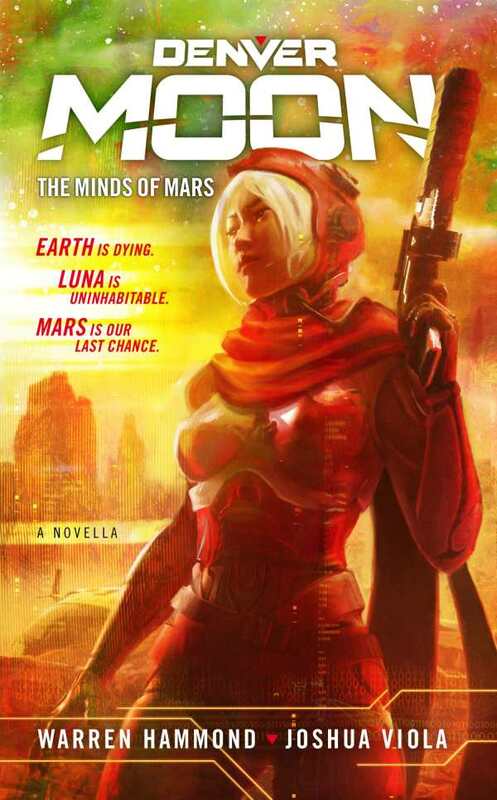 Denver Moon: The Minds of Mars is brief and complex science fiction whose compelling characters are sure to speak to genre fans.